THIS END USER LICENSE AGREEMENT (“LICENSE AGREEMENT”) IS A LEGAL AGREEMENT. YOU SHOULD READ THE FOLLOWING TERMS AND CONDITIONS CAREFULLY BEFORE ACCESSING OR USING ANY CANARY PRODUCT (the “PRODUCT”). THE PRODUCT CONTAINS EMBEDDED SOFTWARE (“SOFTWARE”), THE ACCESS AND USE OF WHICH IS LICENSED BY CANARY TO ITS CUSTOMERS FOR THEIR USE ONLY AS SET FORTH BELOW. IF YOU DO NOT ACCEPT THE TERMS AND CONDITIONS OF THIS LICENSE AGREEMENT, DO NOT CLICK “I ACCEPT” AND DO NOT USE THE PRODUCT - YOU MAY DECIDE TO PROMPTLY RETURN THE PRODUCT TO CANARY BY CONTACTING CANARY AT THE ADDRESS BELOW. BY CLICKING “I ACCEPT” OR ACCESSING OR USING THE PRODUCT, YOU INDICATE THAT YOU ACCEPT AND AGREE TO THESE TERMS. If you are a resident of the US or Canada, this Agreement is an agreement between you and Canary Connect, Inc. Otherwise, this Agreement is an agreement between you and Canary Technology Europe Limited. In this Agreement, references to “Canary” mean either Canary Connect, Inc. or Canary Technology Europe Limited, as appropriate. You represent and warrant that you have the capacity to enter into this License Agreement relating to the Software and are of sufficient legal age in your jurisdiction or residence to use or access the Software. These terms give you specific legal rights, and you may also have other legal rights in addition, which vary from jurisdiction to jurisdiction. Subject to the terms and restrictions set forth in this License Agreement, Canary grants you a limited, non-exclusive license to use the Software, only in object code form, solely as embedded on the Canary product which you own or control, and only for and in connection with your personal, non-commercial use of the Product. You are not permitted to (and will not permit others to) lease, rent, distribute, assign, commercially exploit, or sublicense the Software or to use the Software in a time-sharing arrangement or in any other unauthorized manner. Further, no license is granted to you in the human readable code of the Software (source code). The Software and accompanying documentation may be copied only as essential for backup or archive purposes in support of your use of the Software as permitted hereunder. You must reproduce and include all copyright notices and any other proprietary rights notices appearing on the Software on any copies that you make. This License Agreement does not apply to any open-source software which is included in the Product or to any third-party software that is licensed separately under the terms of various separate license agreements (“Other Software”). The Other Software is not subject to the terms and conditions of this License Agreement and is instead licensed to you under the terms of the applicable third-party license agreements (the “Other Software Terms”). Copyrights to the Other Software are held by copyright holders indicated in the Other Software Terms. 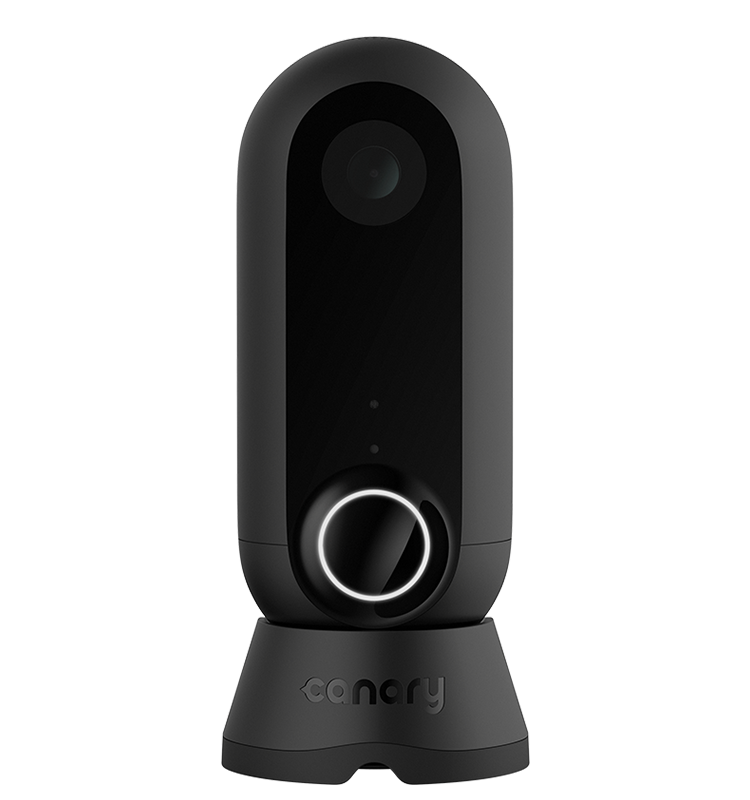 To the extent required by the Other Software Terms, Canary will make the Product’s open-source software, and any modifications made by Canary, available either on our website or by written request to Canary at the email address listed below. Any terms of this License Agreement that conflict with the terms of any license agreements for Other Software will not apply to the Other Software. Nothing in this License Agreement limits your rights under, or grants you rights that supersede, the terms and conditions of any applicable end user license for the Other Software. Modification, reverse engineering, reverse compiling, or disassembly of the Software is expressly prohibited. If, however, you are a resident of the European Union (“EU”), information necessary to achieve interoperability of the Software with other programs within the meaning of the EU Directive on the Legal Protection of Computer Programs is available to you from Canary upon written request. The Software and Product are subject to US export control laws and may be subject to export or import regulations in other counties. You agree not to export or re-export the Software or accompanying documentation (or any copies thereof) or any products utilizing the Software or such documentation in violation of any applicable laws or regulations of the United States or the country in which you obtained them. The software covered by this License Agreement may contain strong data encryption code which cannot be exported outside of the US or Canada. You agree that you will not export/re-export, either physically or electronically, the encryption software or accompanying documentation without obtaining written authorization from the US Department of Commerce. You hereby agree to indemnify and hold Canary harmless from all claims, losses, liabilities, damages, fines, penalties, costs, and expenses (including attorneys’ fees) arising out of or resulting from your breach of this paragraph. You acknowledge and agree that all (a) worldwide copyrights and other intellectual property rights, and (b) ownership of and title to the Software and all subsequent copies thereof regardless of the form or media, are held by and the exclusive property of Canary and its suppliers. You further acknowledge and agree that the Software contains the valuable trade secrets and proprietary information of Canary and its suppliers. You agree to hold such trade secrets and proprietary information in confidence and you acknowledge that any actual or threatened breach of this obligation will constitute immediate, irreparable harm for which monetary damages would be an inadequate remedy, and that injunctive relief is an appropriate remedy for such breach. All rights not expressly granted by Canary to you in this License Agreement are hereby reserved by Canary and its suppliers. There are no implied rights in this License Agreement. The Software is commercial in nature and developed solely at private expense. The Software is delivered as “Commercial Computer Software” as defined in DFARS 252.227-7014 (June 1995) or as a commercial item as defined in FAR 2.101(a) and as such is provided with only such rights as are provided in this License Agreement, which is Canary’s standard commercial license for the Software. Technical data is provided with limited rights only as provided in DFAR 252.227-7015 (November 1995) or FAR 52.227-14 (June 1987), whichever is applicable. This License Agreement is effective from the date you first use the Software or Product and shall continue until terminated. You may terminate it at any time upon written notice to Canary. It will also terminate immediately if you fail to comply with any term of this License Agreement. Upon such termination, the licenses granted by this License Agreement will immediately terminate and you agree to stop all access and use of the Product, Software and documentation. The provisions that by their nature continue and survive will survive any termination of this License Agreement. The courts in some countries will not apply Delaware law to some types of disputes. If you reside in one of those countries where Delaware law is excluded from applying, your country’s laws will apply to such disputes related to these terms. Otherwise, you agree that the laws of the State of Delaware and the United States govern this License Agreement, as well as any claim, dispute, action or issue that might arise out of or in connection with it excluding their conflicts of laws principles. Any action or proceeding relating to this License must be brought in a federal or state court located in New York and each party irrevocably submits to the jurisdiction and venue of any such court in any such claim or dispute, except that Canary may seek injunctive relief in any court having jurisdiction to protect its confidential information or intellectual property. The United Nations Convention on Contracts for the International Sale of Goods (1980) is hereby excluded in its entirety from application to this License Agreement. 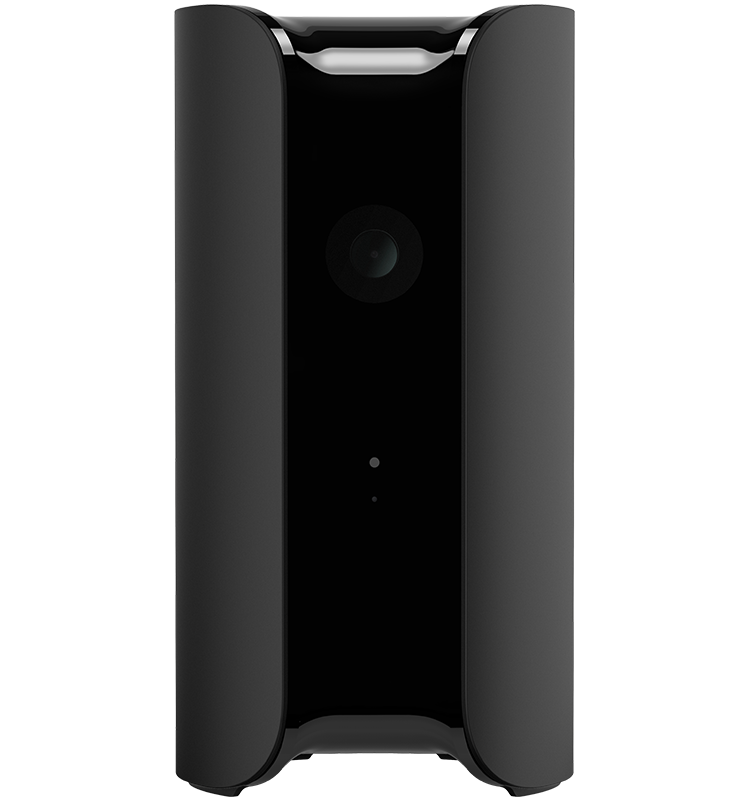 The limited warranty for the Product is as stated on Canary’s website or on the Limited Warranty in the user manual accompanying the Product. NO WARRANTY IS PROVIDED FOR THE SOFTWARE. NOTWITHSTANDING ANYTHING TO THE CONTRARY AND TO THE MAXIMUM EXTENT PERMITTED BY APPLICABLE LAW, CANARY PROVIDES THE SOFTWARE “AS-IS” AND DISCLAIMS AND EXCLUDES ALL WARRANTIES AND CONDITIONS, WHETHER STATUTORY, EXPRESS OR IMPLIED, INCLUDING, BUT NOT LIMITED TO, THE IMPLIED WARRANTIES OF MERCHANTABILITY, FITNESS FOR A PARTICULAR PURPOSE, TITLE, QUIET ENJOYMENT, ACCURACY, AND NON-INFRINGEMENT OF THIRD-PARTY RIGHTS. CANARY DOES NOT GUARANTEE ANY SPECIFIC RESULTS FROM THE USE OF THE SOFTWARE. 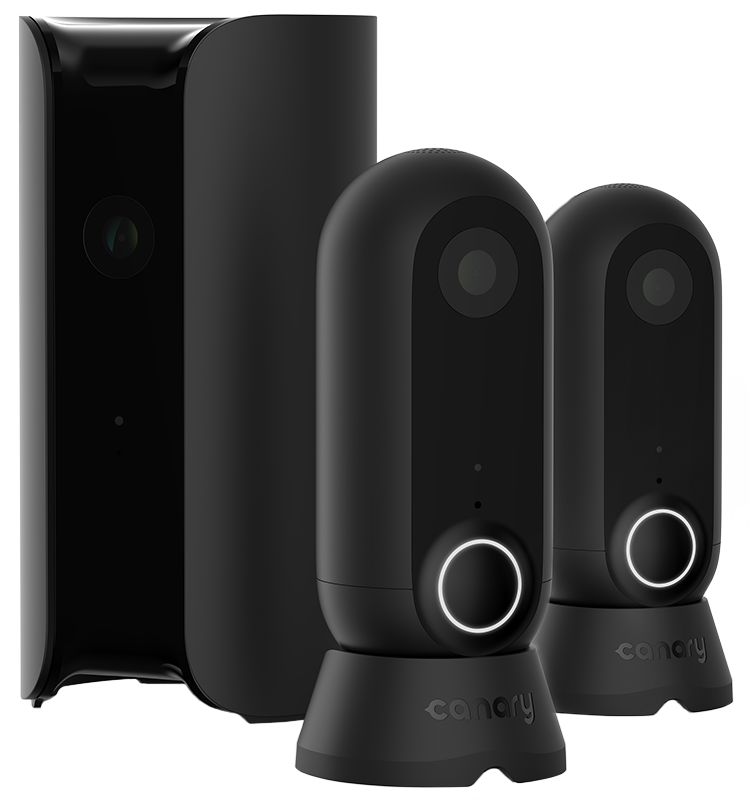 CANARY MAKES NO WARRANTY THAT THE SOFTWARE WILL BE UNINTERRUPTED, FREE OF VIRUSES OR OTHER HARMFUL CODE, TIMELY, SECURE, OR ERROR-FREE. You acknowledge that neither the Product nor the Software is certified for emergency response. 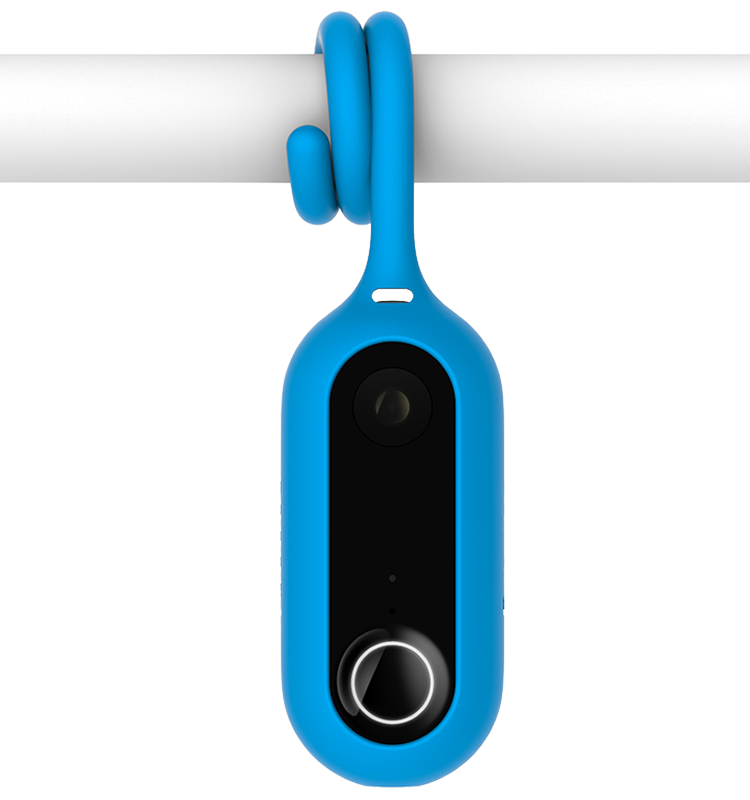 YOU UNDERSTAND THAT THE PRODUCT AND SOFTWARE ARE NOT A THIRD-PARTY MONITORED EMERGENCY NOTIFICATION SYSTEM AND CANARY WILL NEITHER MONITOR EMERGENCY NOTIFICATIONS NOR DISPATCH EMERGENCY AUTHORITIES TO YOUR HOME IN THE EVENT OF AN EMERGENCY. YOUR USE OF THE SOFTWARE AND THE PRODUCT IS AT YOUR OWN DISCRETION AND RISK. YOU ARE SOLELY RESPONSIBLE FOR (AND CANARY DISCLAIMS) ANY AND ALL LOSS, LIABILITY, OR DAMAGES ARISING OUT OF OR RESULTING FROM YOUR USE OF THE SOFTWARE OR THE PRODUCT, INCLUDING, BUT NOT LIMITED TO, ANY LOSS, LIABILITY, OR DAMAGES TO YOUR PERSON, POSSESSIONS, PERSONAL PROPERTY (INCLUDING, WITHOUT LIMITATION, THE PRODUCT, OTHER PRODUCTS, OR PERIPHERALS CONNECTED TO THE PRODUCT, COMPUTER, AND MOBILE DEVICE), DATA, HOME, APARTMENT, UNIT, DWELLING, STRUCTURE, OR RESIDENCE. Canary’s customer support contacts cannot be regarded as a lifesaving solution for people at risk in the home, and are not a suitable substitute for emergency services. All life-threatening and emergency events should be directed to 911 or the appropriate response services. The software app for the Product may allow you to call emergency response services if you are located in a supported area. Nothing in this License Agreement (including anything specified in this "Limitation of Liability" provision) shall attempt to exclude or limit liability that cannot be excluded or limited under applicable law.TO THE FULL EXTENT ALLOWED BY LAW, IN ADDITION TO THE ABOVE WARRANTY DISCLAIMERS, CANARY DISCLAIMS AND EXCLUDES FOR ITSELF AND ITS SUPPLIERS ANY LIABILITY, WHETHER BASED IN CONTRACT, TORT (INCLUDING NEGLIGENCE AND STRICT LIABILITY), OR OTHERWISE, FOR INCIDENTAL, CONSEQUENTIAL, INDIRECT, SPECIAL, OR PUNITIVE DAMAGES OF ANY KIND OR FOR LOSS OF REVENUE OR PROFITS, LOSS OF BUSINESS, LOSS OF INFORMATION OR DATA, OR OTHER LOSS ARISING OUT OF OR IN CONNECTION WITH THE SALE, INSTALLATION, MAINTENANCE, USE, PERFORMANCE, FAILURE, OR INTERRUPTION OF THE SOFTWARE OR PRODUCT, EVEN IF CANARY OR ITS SUPPLIERS HAS BEEN ADVISED OF THE POSSIBILITY OF SUCH DAMAGES, AND LIMITS ITS LIABILITY TO REPLACEMENT, REPAIR, OR REFUND OF THE PURCHASE PRICE PAID, AT CANARY’S OPTION. THIS DISCLAIMER OF LIABILITY FOR DAMAGES WILL NOT BE AFFECTED IF ANY REMEDY PROVIDED HEREIN FAILS ITS ESSENTIAL PURPOSE. In addition to this License Agreement, you may also have other legal rights that vary from jurisdiction to jurisdiction. Some countries, states, or provinces do not allow the exclusion or limitation of implied warranties or the limitation of incidental or consequential damages for certain products supplied to consumers, or the limitation of liability for personal injury, so the above limitations and exclusions may be limited in their application to you. When the implied warranties are not allowed to be excluded in their entirety, they will be limited to the extent and duration of the applicable written warranty. Your specific legal rights may vary depending on local law. In the event any provision of this License Agreement is found to be invalid, illegal, or unenforceable, the validity, legality, and enforceability of any of the remaining provisions shall not in any way be affected or impaired and a valid, legal, and enforceable provision of similar intent and economic impact shall be substituted therefor. Canary may send notices to you via email or to a mailing address. Notices will be sent to the address that you registered with Canary. All waivers by Canary will be effective only if in writing. Any waiver or failure by Canary to enforce any provision of this License Agreement on one occasion will not be deemed a waiver of any other provision or of such provision on any other occasion. This License Agreement sets forth the entire understanding and agreement between you and Canary, supersedes all prior agreements, whether written or oral, with respect to the Software, and may be amended only in a writing signed by both parties that identifies itself as an amendment to this License Agreement. If you have questions regarding this License Agreement, please contact Canary by sending an email to legal@canary.is.